Miami is a relatively young city, but there is still a bit of history to be observed here. These attractions will allow you to learn about aspects of Miami's past, while enjoying your day in our beautiful, tropical city. A very unique sight in a young city like Miami, the monastery was originally built in Segovia, Spain in 1141. In 1925, William Randolph Hearst purchased the building, but it wasn't until 1952 that the stones were reassembled at its current site in North Miami Beach. Completed in 1891, this house built by Commodore Ralph Munroe is Miami-Dade County’s oldest house still situated in its original location. The surrounding tropical hardwood hammock is one of the last examples left of Miami’s original landscape. On the National Register of Historic Places, this monument in Homestead is a bizarre and mysterious attraction. Edward Leedskalnin took 28 years to build the monument, which he did out of unrequited love for the fiance who left him one day before their wedding. Peek into Miami’s past when you visit this estate built by Charles Deering during the early 1900's. Take a tour of the three historic buildings on the property, or of the hardwood hammock that represents what Miami’s landscape used to look like. It is also home to a Tequesta burial mound from the 1700’s. Learn about South Florida and Caribbean history at this lovely museum in Downtown Miami. Their permanent exhibit, Tropical Dreams: A People's History of South Florida, explores Miami's history from prehistoric times to the present. Listed on the National Register of Historic Places, this has been a popular swimming spot since the 1920's. It is the largest freshwater pool in the U.S. You can lounge in the beautiful setting, or take a dip in the pool - which ranges from 2-feet to 8-feet deep. 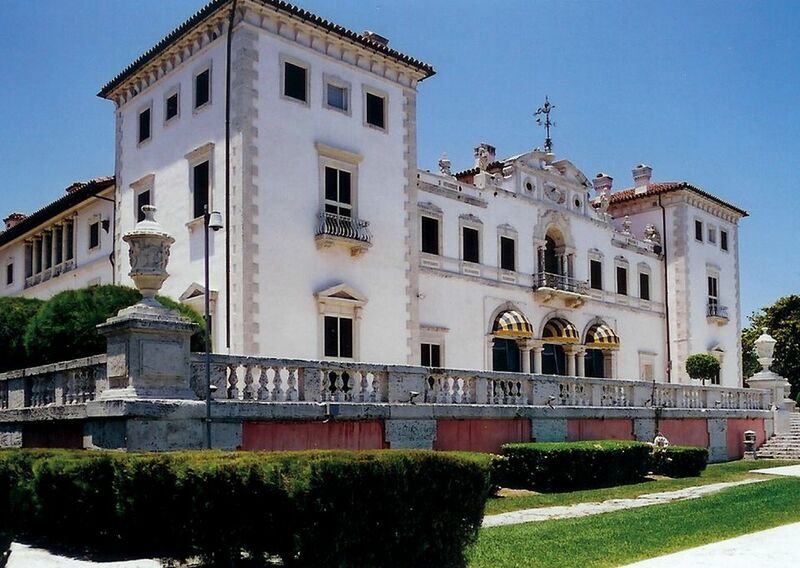 Vizcaya is considered one of the biggest must-see attractions for visitors to Miami. It was built as a winter vacation home by industrialist James Deering in 1916. The main house gives you a peek into the lives of the super-wealthy during the 1920's, and the gardens are among the most grand and beautiful you will ever see. There are five sites in Miami that are recognized on the list of National Historic Landmarks. These special places offer insight into the history of Miami, the U.S., and the world. Do you have an opinion about these or any other Miami attraction? If so, please submit your own Miami Attraction Review.